Trying to remove clutter from your night table? 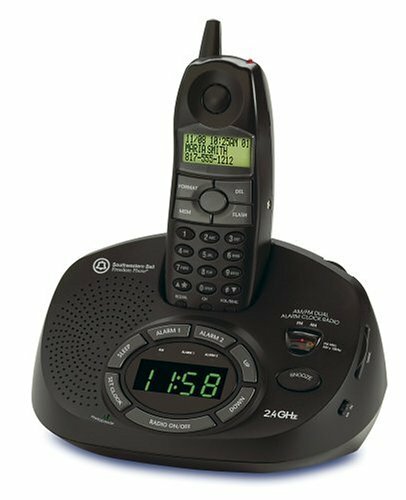 Consider the Southwest Bell GH3062 cordless phone and AM/FM clock radio in one. 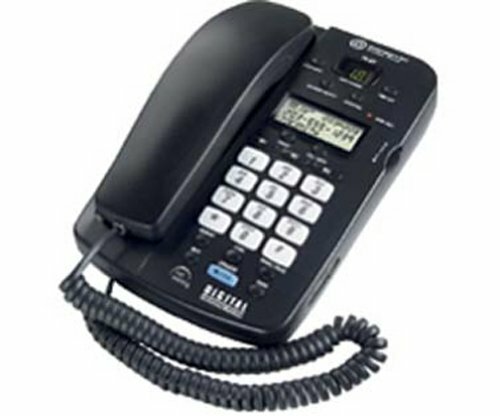 With its simple black plastic design, the GH3062 offers 2.4 GHz analog operation, caller ID capability with a 64-name-and-number memory, 10 programmable speed dial locations, and hearing aid compatibility. 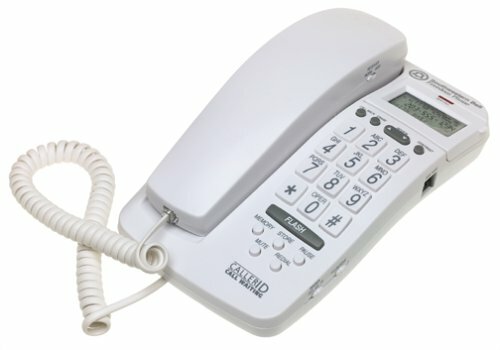 While the handset offers a three-line backlit LCD plus keypad, the base unit houses the built-in AM/FM clock radio. A dual programmable alarm lets you set separate wake up times, and a thoughtful radio mute feature activates automatically when you're on a call. Time and date is displayed on a large LED in bold green, easily readable whether it's day or night. HOW DO YOU RESET THE LANGUAGE OPTION? I bought several of these since they were inexpensive, although they EAT batteries. Unfortunately, I didn't keep the instructions for setting the language (which you must re-do after changing the batteries). Can anyone out there help me with this? Thanks! Quite simply, this caller ID display is too hard to read from any angle EVEN if it has brand new batteries in it, AND the contrast is turned up all the way. The display is just too dim. Save your money and don't buy this one. 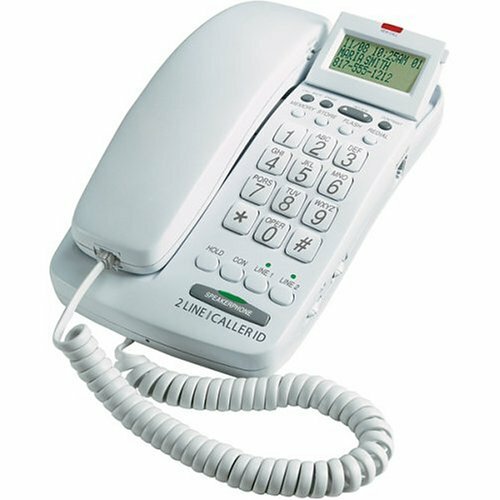 The FM-2555 from Southwestern Bell is a corded phone with caller ID and call waiting compatibility, and several other useful features. 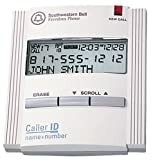 The caller ID holds up to 64 numbers in its internal memory, which is easily accessible through the LCD on the base. A 13-number speed dial allows you to program the most frequently used numbers into the phone and dial them with the touch of a button. 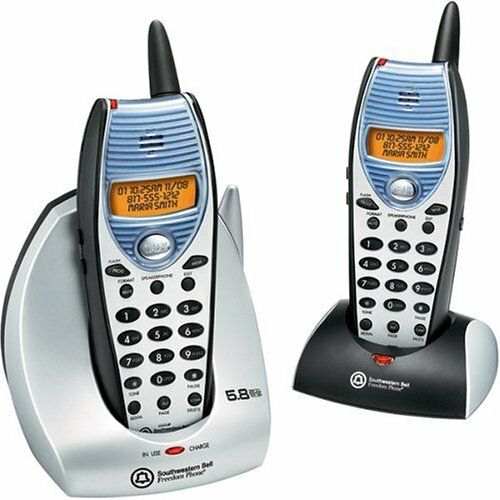 A speakerphone allows you to talk without having to cradle the handset, and a backlit keypad makes dialing in poorly lit environments a snap. This phone has so many features for the money! An answering machine, caller ID, speakerphone, large lighted keypad, makes it easy to understand and use right out of the box.I also like that it comes in white, which fits well in my kitchen. The buttons are large and light up, a plus for dark corners or older users. 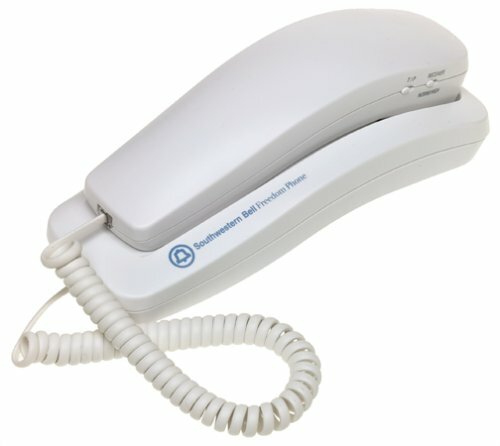 The speakerphone works well, allowing hands-free use in the kitchen or anywhere else. I think Southwestern Bell has always made quality products, and this is yet another one. I'm please to have spent so little and gotten so much! I was a bit worried about ordering this phone as one of the reviews had commented on the answering system as unsatisfactory. I was pleased to find that this phone is not only attractive in my kitchen, but has proved to be easy for my non-techie husband to use (he has much trouble with anything more complicated than a single dial. Forget touch pads.) We have had no problem with the answering machine having too short a record time. The only message I had that ran too long was one of those stupid telemarketer recordings that run on and on. I was very grateful that the answering machine cut it short. 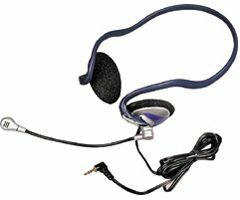 The Volume enhancement is appreciated, as I have less than perfect hearing, and the handset is comfortable. 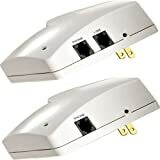 The features are simple to use, and I even showed my husband how to check the messages without having to repeat the instructions. A first!!! Very bad product as others have said. We've had this phone for over a year and it's been nothing but problems. Poor phone quality, frustrating anwsering machine, not able to use remote access feature. Now it has a really loud background hum. Final straw. We will replace shortly. This phone comes with good features, but it performs very poorly. Answering machine messages are virtually unintelligible, and it is very difficult to hear and understand people through the handset. I wish I never bought this phone. If you think the price is too good to be true, you're right. 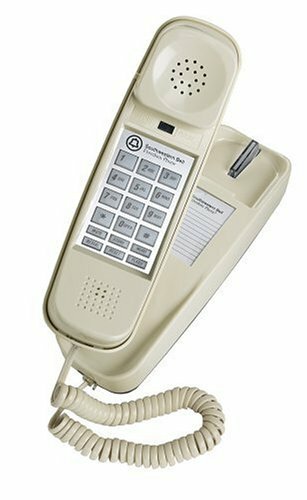 After setting up this phone I used it to make a few calls. I immediately noticed a lot of backround noise whenever I used it. The noise was there whether making or receiving calls. When I switched back to my old phone on the same jack, the noise was gone. I'll be returning this one. 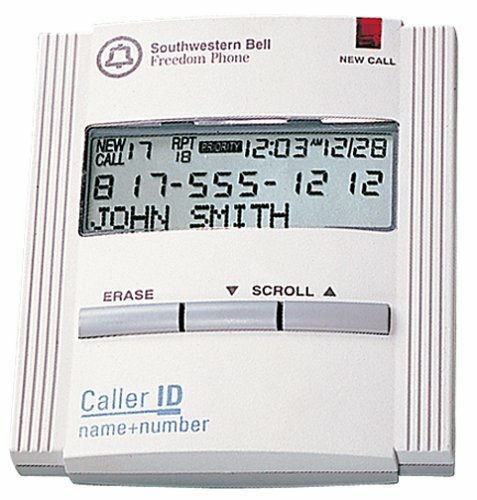 I bought this Southwestern Bell caller ID phone solely because I wanted something inexpensive and small for my desk. What a mistake! Every time I get a call, I have to lift the entire unit close to my face to see the caller ID. 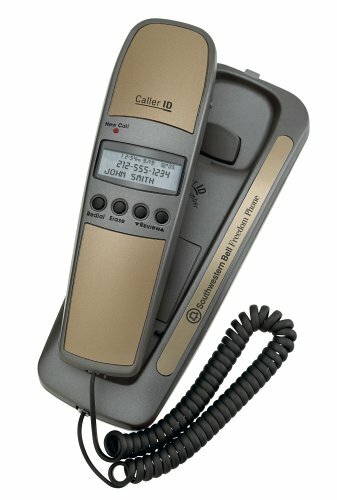 Sometimes when I pick up the handset to make a call, I don't get a dial tone until I click on the cut-off button. It looks nice, but feels cheap. Even for the slight cost, this phone is not worth the money. Although it stores a sizeable list of incoming calls, erasing the list takes a fair amount of time if you've built up more than a few calls. Buy yourself a more expensive phone. This one isn't worth the effort of ordering. I was very disappointed in this phone because it only lasted 4 months before it started making loud noises during conversations. I was surprised that Southwestern Bell would tolerate such defects in their workmanship. 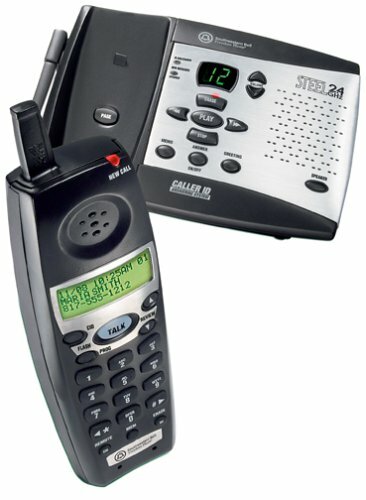 I have had the freedom phone trimline fm2552 for over a year now and i still have to turn it a certain angle towards the lighting in my home to see my incoming calls on the caller-id. By the time i figure out who has called, they have hung-up! Other than that feature, it works alright. 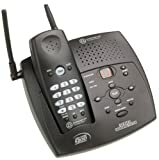 The Southwest Bell GH3050S stainless steel cordless phone offers style and functionality in a shock-proof, water resistant package. Its sleek design houses a handy integrated digital answering system, so you'll never miss an important message again, and it's caller ID features allow you to pick and choose whom you want to talk to. 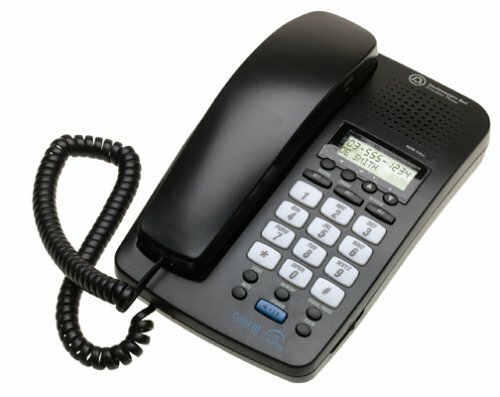 If you're not in visual range of the handset's 3-line LCD, you can program distinctive ring tones for all your favorite people, so there's no need to rush to the phone only to find that it's a telemarketer. This phone works, but it is just ok for the money. There are better priced phones with more features on the market. This phone has a lot of features. My only real problem with it is the volume control. I can hardly hear people when I'm on the phone with them. They seem to hear me just fine. Eventhough the handset volume is turned to "High" it's still hard to hear the ohter person. I have used many cordless phones and concur with Jason 100%. This is a phone to stay away from. I still have this POS and am tossing it and moving on to a higher end Panasonic. We bought this phone because we needed a phone and answering machine quick. I should have shopped a little more. The display is EXTREMELY difficult to read. It works the opposite of my old phone causing me to hang up on people when I don't intend to, and answer calls I intend the machine to take. I'd like to return it to the Target store where I purchased it. The reception is poor and it has no volume control on the headset. Avoid this headache of a phone! 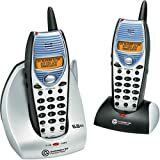 -This phone gets worse reception that my previous phone, which was a first-generation, pre-900mhz cordless. -It has a lot of static even though it has way more channels. -The sound from the speaker and mic are distorted and fuzzy. -It is too quite, you have to crank the volume all the way up just to hear the other person. You have to use it in a room without anyone else, or the TV. -The battery dies constantly, and when it does, the phone emits this obnoxiously loud beeping while it is charging. Even though it is on the cradle charging! This is insane- first of all, I don't need that much of an alert that my phone is dying, and second of all, it should stop once it is charging. -The phone has a poor design- it does not fit securely in the cradle, so you never really know if it is on there good so it can charge. Overall, this phone is a poorly designed piece of junk that I wish we had never bought. If you are looking for a low priced basic phone, this is not it.